The problem with most visionaries is that they see a world that doesn’t exist. It’s not so much of a problem until they try to explain their vision to the rest of us mere mortals. They can imagine products or services not yet invented. They can envision a way of living different to the way we live now. Yet they can’t always get it out in a way that anyone can understand. Simon Sinek, author of the book “Start With Why,” has a great post here on the visionary’s dilemma. A vision, no matter how brilliant, will only ever see the light of day if others, those less visionary, are able to also see the potential. It is a person’s ability to paint a picture of something that doesn’t exist in words so clear that others can clearly picture it themselves without any confusion or uncertainty that matters most. It is at that point that an idea can inspire people to act. To share the idea and to help bring it to reality. Words that require thinking should be avoided, words like “convergence,” for example. When someone says that in a sentence, I have to furl my brow and really pay attention. Explain why it matters, not what you’re doing. Who cares if you’re “developing applications for mobile devices…blah blah blah,” why should I care? And most importantly, always, always speak as if you’re describing an image. A picture. A scene. And finally: And, after all, it is why you have your vision, not how you intend to create it, that inspires. Leaders in ChurchWorld ought to be visionaries – and many are. Just make sure you are able to speak to that vision, and communicate it to others with clarity. When you read or hear the word “clarity”, the odds are that your next thoughts have something to do with vision, imagery, or similar metaphors. Will Mancini, author of “Church Unique” and founder of the consulting group Auxano, refers to himself as a “clarity evangelist.” One of the central tenants of his work is clarity, and he uses powerful visual images to illustrate. The concepts of clarity are a regular part of my conversations with churches. In the last month, I have talked about clarity with large and small churches; rural and urban churches; traditional and contemporary churches. Clarity transcends all these groupings as a necessary ingredient of successful churches. Leaders who communicate with clarity radiate passion, conviction, and enthusiasm – and people respond. Looking for the shortest distance between Point A and Point B? The answers to the above questions aren’t in Will Mancini’s Visual Summary to his book “Church Unique,” but you will be able to grasp the process that just might answer the tough questions you’re facing today. If you are the Exponential Conference today and would like a free copy of The Visual Summary, show this post or a Tweet related to it to the guys at the Auxano booth near the Worship Center entrance (while supplies last). This post wraps up a quick look at a section of Will Mancini’s book “Church Unique“. I’m at the Exponential PreConference event in Orlando with part of the Auxano team, and this section has been jumping all over me! So far, it’s been all about Soul Fast Food – but now it’s down to some “solid” stuff! The real nourishment of your people should come from the vision of your Church Unique. Only then will the enduring purpose of the church reflected locally can replace the substitutes of place, personality, programs, and people. If people are nourished by unchanging vision, they are more agreeable when the rules change with tactics. It takes clarity and discipline to understand which things in the organization belong to which category. But what if our people were so captivated by the granite etching that it set us free to play with sand drawings? The leader’s role is not just to communicate in both granite and sand but to show how the two components work together. The leader should help people embrace change by nurturing an emotional connection to the unchanging core vision. 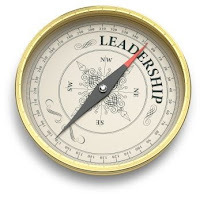 The leader should preserve and champion the core vision by showing people how to constantly adapt. Our change management problems today are vision problems first and people problems second. Many leaders want their people to run a missional marathon but unknowingly feed them junk food, leaving them malnourished and unprepared for the future. If you are leader in ChurchWorld, don’t be part of “feeding” your congregation junk fast food – focus on the Bread of Life, and watch your church thrive and grow! When we fail to clarify and nurture the things written in granite, our people get too attached to the things written in sand. This is how the four P’s (place, personality, programs, and people) fit in. These are sand, not granite. As the fluid and flexible stuff of the kingdom they not only should change, but must change. In the absence of vision, the stuff of sand becomes the vision. In the absence of granite, sand is all we can grasp. The last few posts on 27gen have been a closer examination of Will Mancini’s book Church Unique. Specifically, the chapter entitled “Lost Congregations” that examines how churches adapt to a vision vacuum. Using the metaphor of Soul Fast Food, Mancini challenges the church leader to examine how their structures, programs, and ministries may have become a substitute for the real meal – what God intends for the church. To wrap this up, I simply want to restate some of Mancini’s questions for your consideration. What really happens in the soul of a congregant when left in a church’s vision vacuum over time? What is left to excite the heart of church attenders? What then fuels the dreams of your people? What nourishes the identity of those who call your church home? God’s people have a heart for mission; we need guidance to carry it out – vision. When a church articulates and clarifies its vision, the people of God will be released in a powerful realization of God at work in their world. If you are at the Exponential Conference and you resonated with the Church Unique material, I invite you to participate in the Intentional Discipleship track for your workshops. You can look at a preview here. Today is the final day to order off the Soul Fast Food menu! For previous orders, see these posts here and here. These thoughts are driven by my ongoing learning experience with Will Mancini’s and the Auxano presentations at Exponential 2012 Preconference. Perhaps the greatest substitute for healthy membership identity is the group of people at church – whether ten or a hundred – who “know my name.” This is not to be seen as a knock on relationships! It is identifying “community without a cause” as both unbiblical and a common source of identity for the churchgoer. Want a demonstration? Suggest a change in service times – or ask a Bible Study class or small group to multiply. People don’t want you to mess with their relationships. Our familiar friends, albeit essential to church life, have become central to the person’s identify. Relationships are critically important to community life in a church. 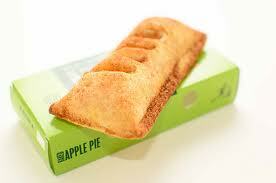 But, like too many apple pies or anything taken to excess, they can be damaging to the overall health of the body. 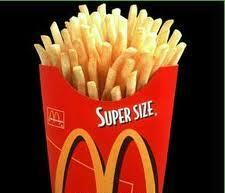 Later today: the source of real nourishment for your church – and it’s not found at your local drive-through! Spiritual leaders matter to our people. But most pastors do not want their personality to be the primary umbilical cord connecting their members’ identity to the church. Charisma is not vision. It is a vehicle to deliver the vision. But for many churchgoers, connection to their church is connection to the pastor. The “person” of the pastor can easily become the primary connection point so that in the absence of vision, people cling to something – or someone – even those with little capability to lead. Programs are important, and good methodologies for doing ministry should come and go. Unfortunately, most of them come and stay – like sour milk, they hang around long after their expiration date! For years, church leaders have struggled with how to dismount a dead horse. When the program exists in a vision vacuum, the how of doing the program displaces the why in the heart of the program’s leaders. Mastering the how is what makes the volunteer feel important. The problem is not the volunteer but the vision. We need the vision to raise our sight to see the why behind the program to begin with. Their hearts find more meaning in working efficiently on yesterday’s methods than in working effectively into the future. 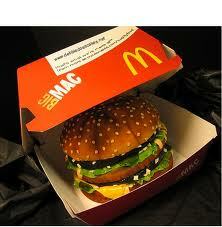 Does your fast food diet include Big Mac personalities and Super Sized programs?